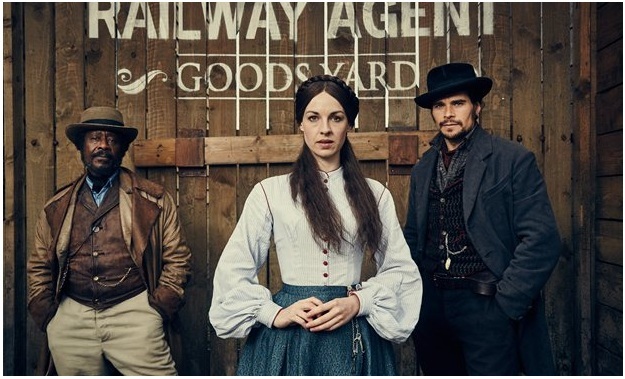 Another new British historical series to spotlight today with some brand new photos and a link to watch the trailer (I will embed one below as soon as they give it to us) - ITV's new epic series JERICHO which has been announced for airing in January! The story will be spread in eight episodes with the cast lead by Jessica Raine, Mark Addy and Hans Matheson! Set in the Yorkshire Dales in the 1870s, JERICHO follows Annie (Jessica Raine) who travels to the shantytown of Jericho, home to a community that will live, thrive and die in the shadow of the viaduct they’ve been brought together to build. She's here to build a new life for her family and finds romance in the shape of Johnny (Hans Matheson), a mysterious stranger. Rustic and remote and beautiful, yet with a wild west, carnival atmosphere, JERICHO is a community of pioneers, settlers and outcasts, people with secrets to hide and those looking to start again. Just went over and watched the trailer. This looks like something that Jason and I would like! Thanks for being the only one to comment, today, dear :) Don't know where all the people have gone this week..
Hope they release an embeddable trailer soon, but knowing ITV, it probably won't happen all that soon. Honestly, I have never seen that kind of stuff happen here. The lines are long and aisles can get crammed, but there's an organized chaos about it all. Most people seem to be in a cheery mood despite getting up before the birds. We only shopped one store this year since we are trying to cut back on unnecessary spending. I've also seen a stampede on Facebook last week... there were like thousands of them in front of a mall behind a metal fence and then instead of going in one by one, they burst through and started the stampede... it was so horrible watching some of them squished against the fence.... Kinda like when they give free stuff here... like free bread at Christmas... you will literally see old people stepping over each other to get a piece.... extremely humiliating. Free stuff does tend to bring the animals out in some people, which is really sad. It's just stuff! Unless we are starving and need free food, there's no need to act uncivilized over crap that will be forgotten about a month or two after the holidays are over. Now, I imagine I would probably see these things happen if we went into the ghetto communities, like in Chicago or Baltimore. Thankfully, us Hoosiers remember the wooden spoons mamas used to give our backsides when we acted like rabid beasts, we learned to act decent early on lol. I had a kid send me messages at Facebook before the book fair to ask if he will get our bookmarks with each book he buys or just per one buying. I was like - hello, it's a piece of cardboard it ain't like we're giving away free fridges or TVs! Jericho seems a good show! I just watched the trailer. When will this air? Did I mention I went on a cruise? It was very different to the setting for Jericho... giggle. You mean you didn't wear tons of underskirts? A British western? Has there ever been such a thing before?! 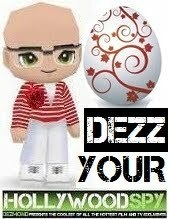 Nope, they say this is tha first one! I'm wondering exactly what Stephanie is wondering. It'll be interesting to see what the British will do with this. who knew there was a wild west in Britain! I will be around a lot more as of today Dez. Yay! I need to find out more about Jericho before I decide if this show is for me. It ain't long just a few episodes! everybody was, it was lovely and cute, nothing dictator related, more a celebration and memory of our brave fight in WW2 in which we lost at least million people as the only country in this part of Europe to resist Nazis openly.